Soups are very good appetizers and are especially liked during winter and rainy seasons. 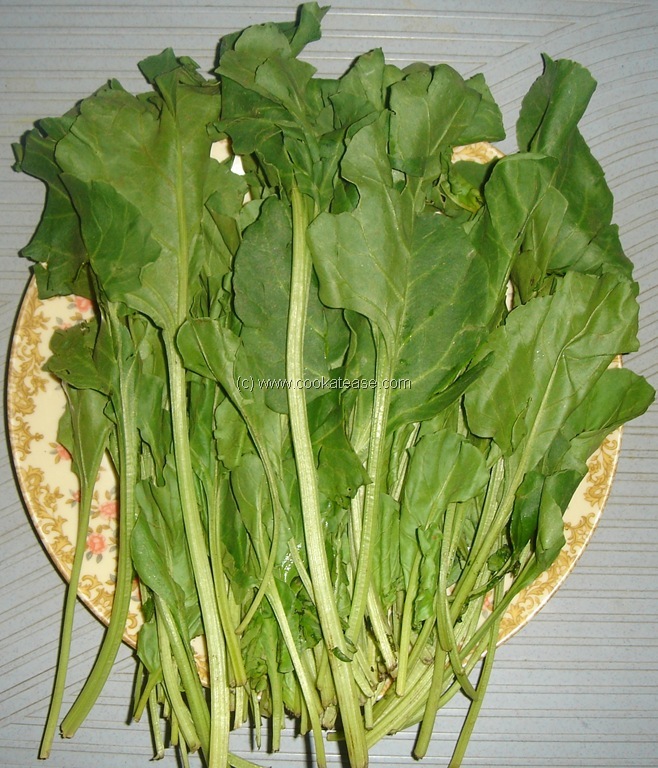 Palak (Spinach) is a green leafy vegetable rich in iron, calcium, vitamin A, E, K, B6, folic acid and dietary fiber. 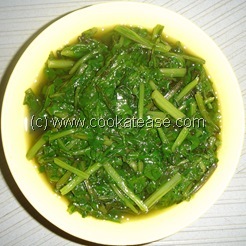 It enhances the taste, in whatever dish it is used in. 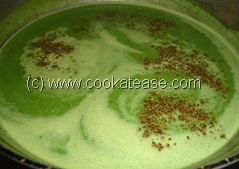 It is also easy to clean and takes very less time to cook. It is readily available in all supermarkets. Here I have used Palak (Spinach) for making soup. 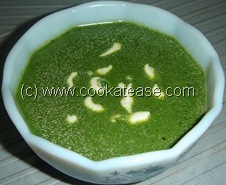 This soup is very light, easy to prepare and liked by all age groups. Milk – 500 milli litre. 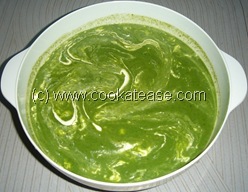 Clean, wash, cut Palak and boil it with ½ cup water; allow it to cool and blend it; there is no need to filter this. 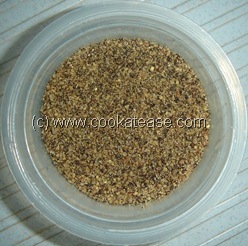 Grind pepper to a coarse powder. 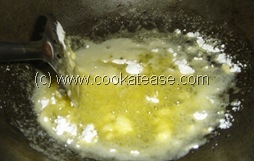 In a pan, add butter and corn flour; fry till both mix together; add 1 cup milk; keep remaining milk for later use. 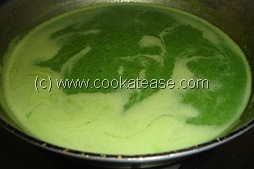 Let the mix boil for 1 minute. 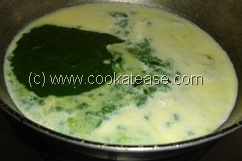 Now add remaining milk, ground Palak and cook for few minutes; remove just before boiling and at this stage add powdered pepper and salt. Garnish with cream if you like. With pepper flavor, it tastes very well. Serve hot. 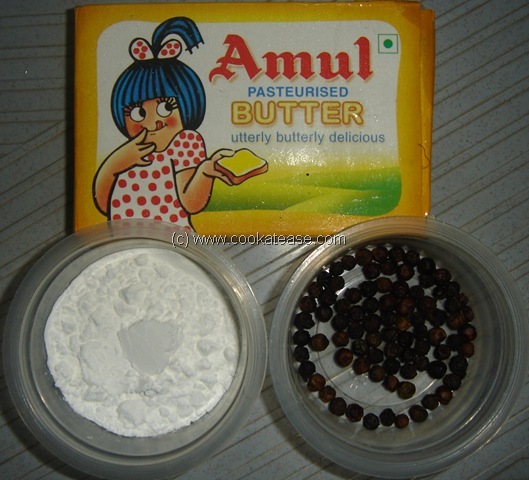 Put less salt if you use salted butter. After I tasted the wonderful palak soup in ‘Palki’ hotel, Mangalore, I had been searching for this kind of a recipe for years & now I have found this. 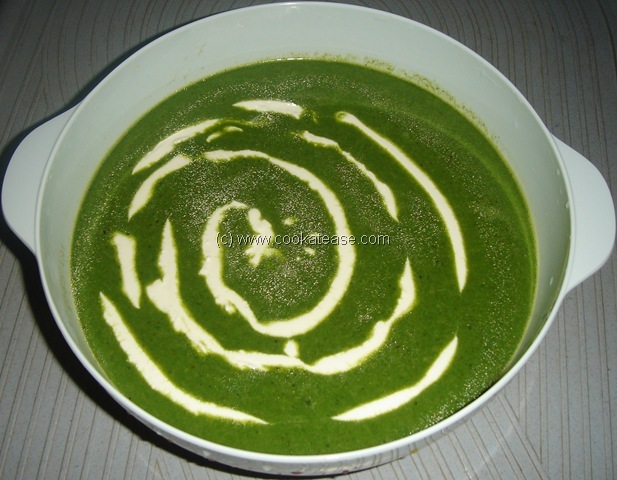 Thanks a lot Kamala for sharing this recipe. I’ll definitely try this.